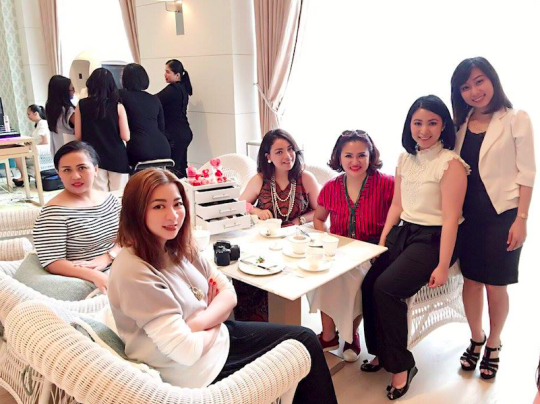 This week me and my friends attended IOMA PARIS beauty workshop “Timeless Youthful Skin” at Fairmont Hotel, Jakarta. At the beautiful high tea lounge, we were able to do skin check by IOMA (and I might say one of the most detailed skin check I’ve ever done). From the diagnose made on spot, and can be printed to take home, my results are: bacterial activity (especially on nose area), clogged pores, uv damage, dead skin cells and lack of moisture. 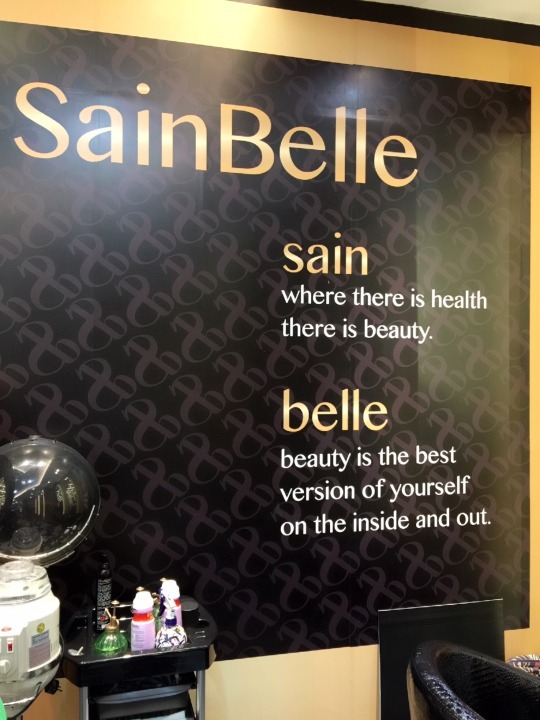 Not bad, I got 5 out of 12 skin problems that can be detected by the sphere-like machine. 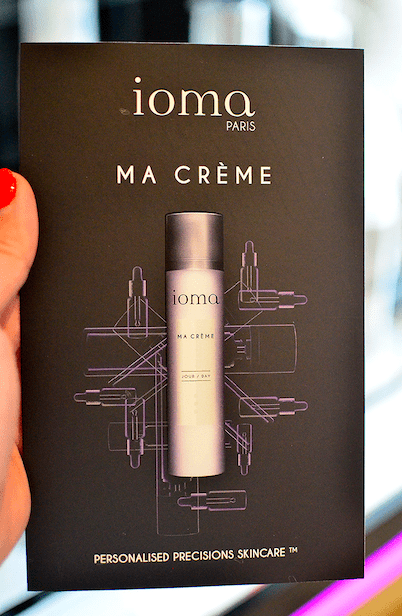 Based on the result, the machine will suggest IOMA products that suitable for my skin needs and also formula (like recipes) for their famous MA CRÈME. Divided into two, Day and Night, MA CRÈME is a personalised precisions skincare. Very practical, as we don’t have to bring a lot of skin care products while we travel, because it’s like everything your skin needs in a bottle for day and night use. Made from eight serums in dropper bottle, it’s a bespoke skin care product. 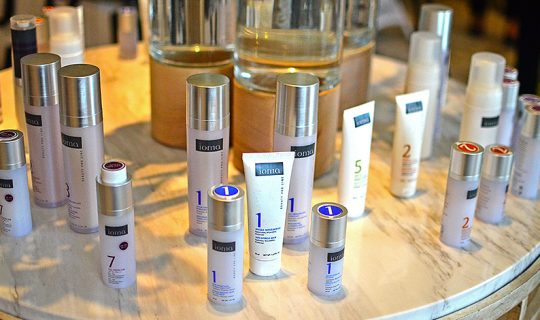 But, of course, they have many different products which also can be recommended by the skin check result. 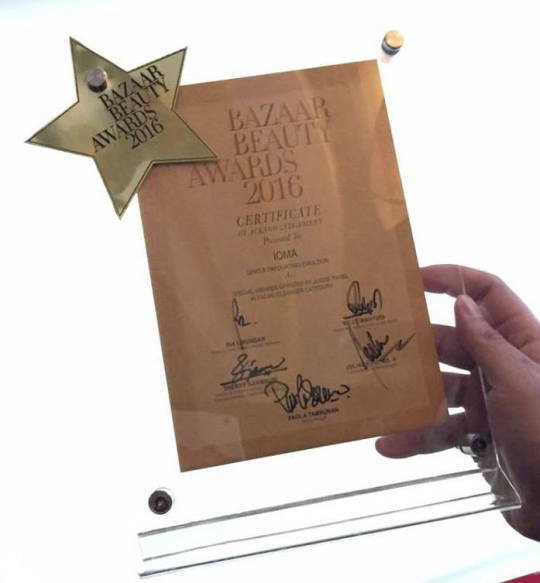 And one of their best selling product, IOMA Gentle Exfoliating Emulsion just won Bazaar Beauty Awards 2016 as the best in facial cleanser category by their judge panel. 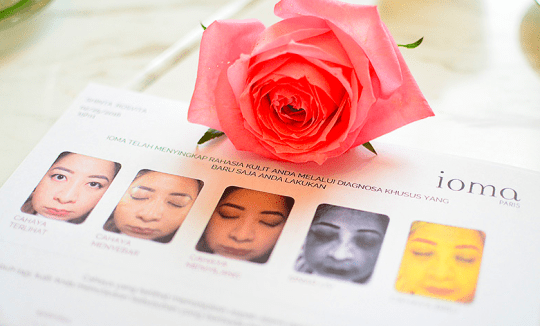 If you care about your skin, why don’t you try their skin check to know precisely what your skin needs, instead of just doing a lucky guess based on how they look on the surface. You might not know what’s hiding underneath. 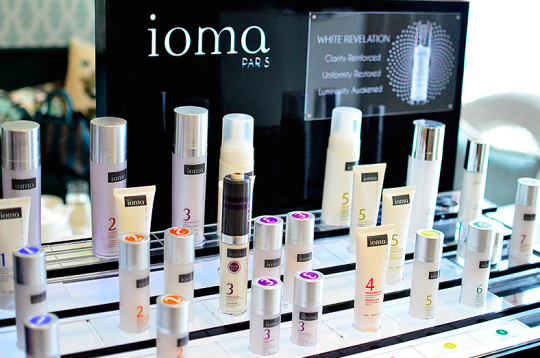 Go to Seibu in Grand Indonesia to get your IOMA skin check. 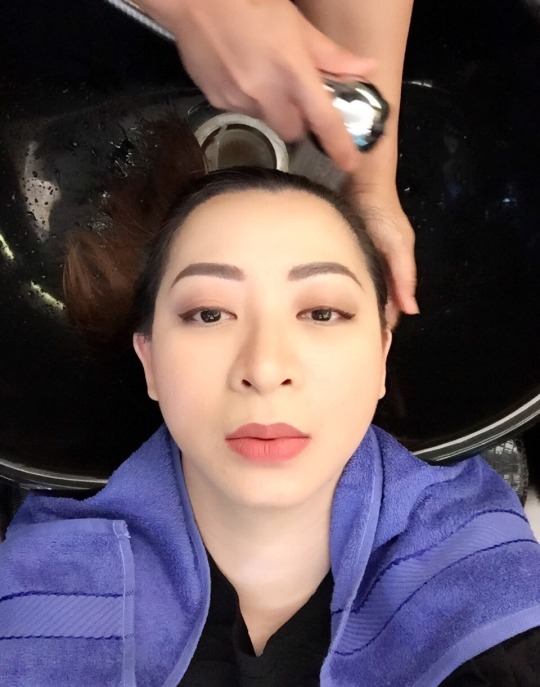 THERE’S A NEW SALON IN TOWN! 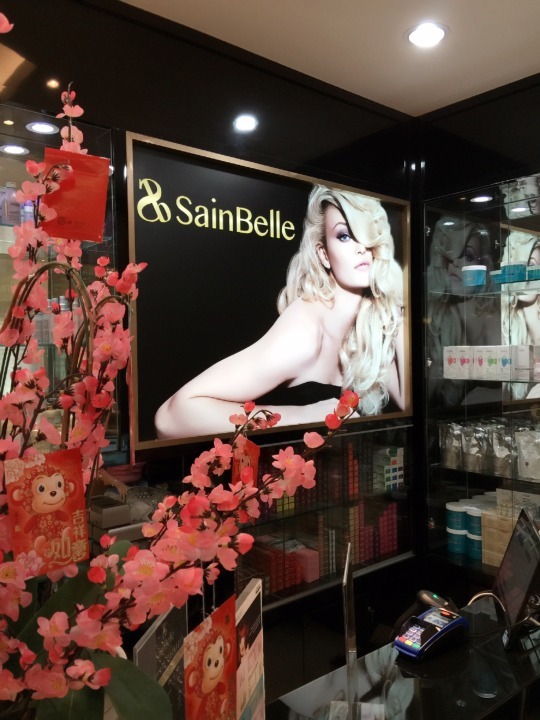 SAINBELLE Salon in Taman Anggrek, one of the biggest mall in Jakarta, Indonesia. 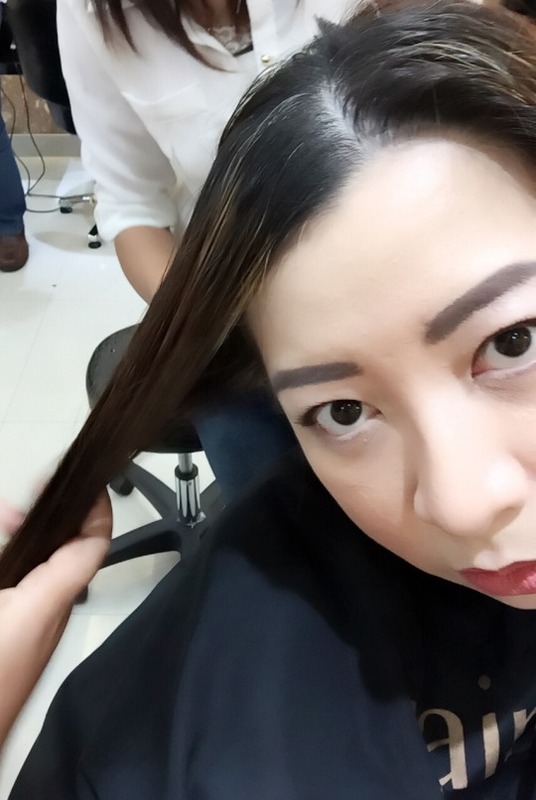 This is their first salon, but they’ll open more branches this year. Yes, it is a local hair salon. I went there yesterday to get my roots done and trim my hair. Please mind the colour gap. LOL. Nice & comfortable washing room. 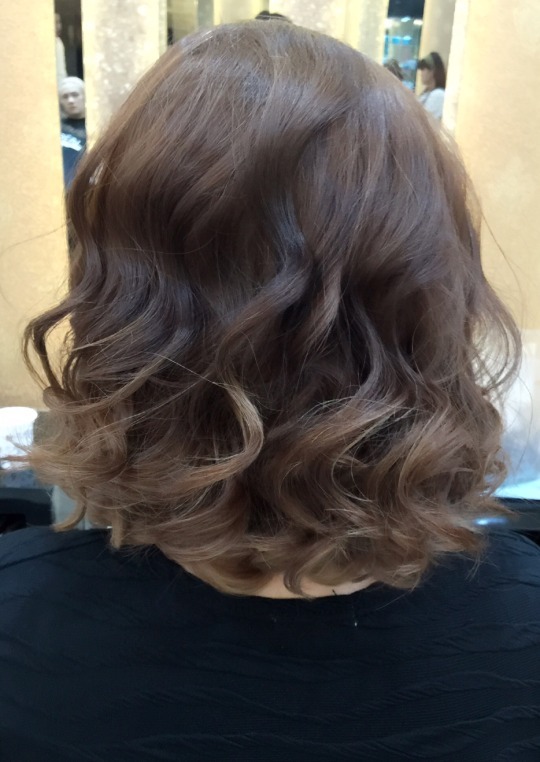 I enjoyed washing my hair in hair salon. I believe they cleanse more, and who could resist the massage? 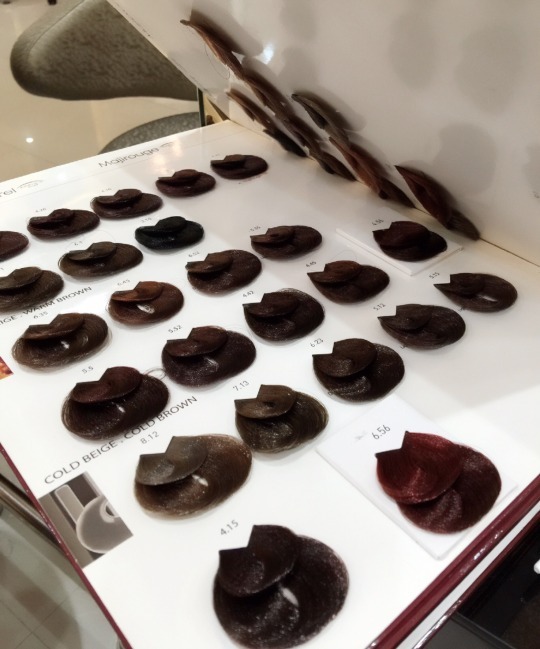 Many choices of colours were offered, and SainBelle uses L’Oreal Professionnel products in their salon. 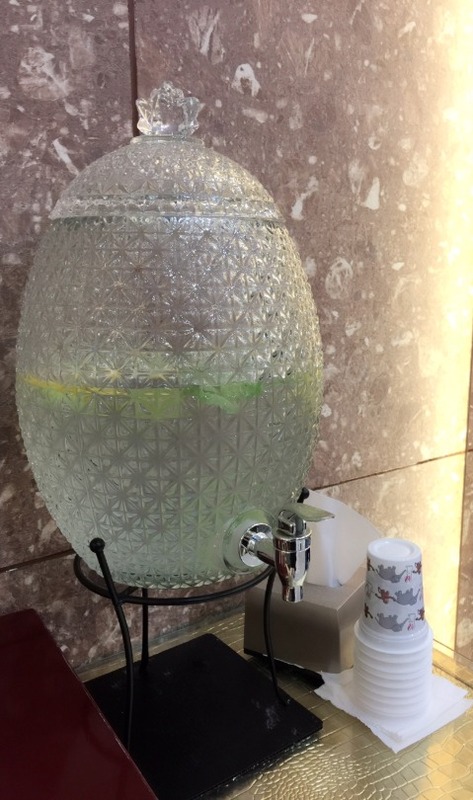 While waiting for the colour to be absorbed, they offered me Infused Water. What a refreshing type of drink, right? And another good thing about this salon, they have super fast free wifi. 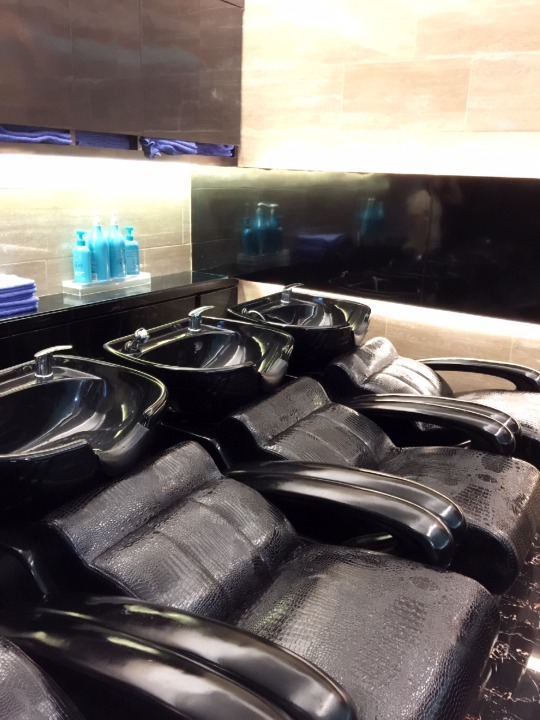 Seriously you need this when you’re gonna spend hours and hours in the salon, yes? Since my hair has been bleached before, they used two colours to sort of blend my roots nicely with my previous hair colour. Here’s the result! 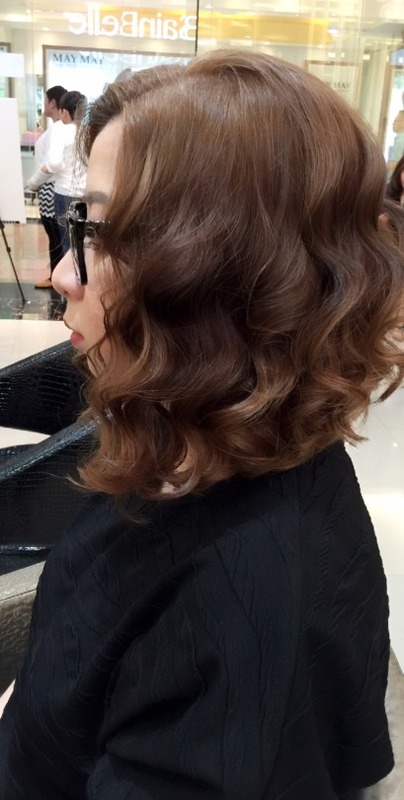 For the end result, they use curling iron to create this Korean style, and I love it! 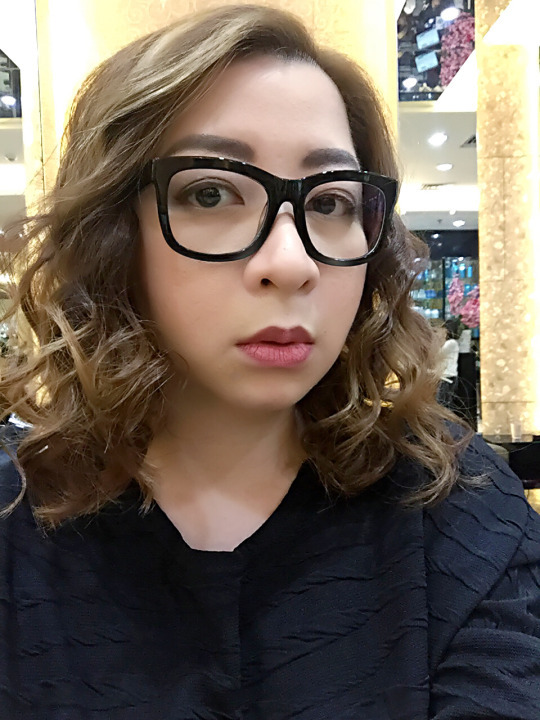 Now I’m considering to do Korean Curls permanently. MY BURBERRY. The latest chapter from MY BURBERRY fragrance story. 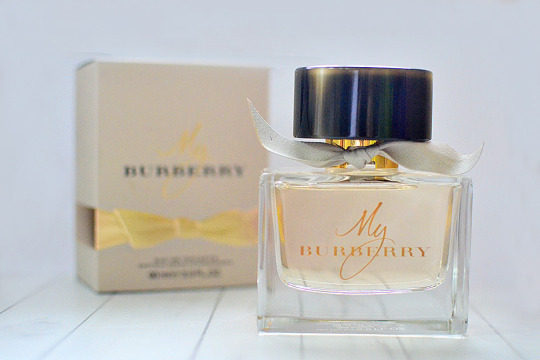 Comes in EDT, this is a fresher interpretation of their iconic MY BURBERRY EDP. I admire their ad concept by brought together the two of the most famous supermodel in this world, for the first time ever in one ad. That’s right, folks. Both of them never been shot together before, and this was their first. Before I review the fragrance, and if you’re a fan of Kate & Cara like me, check out their video. Created by Burberry’s Chief Creative and Chief Executive Officer Christopher Bailey, working in collaboration with my favorite perfumer Francis Kurkdjian, MY BURBERRY is inspired by the iconic trench coat (that explain why Kate & Cara wore the Heritage coats in the ad). Imagine that trench coat, how classic, timeless, elegant, sophisticated, yet look very fresh. Even though their notes are mostly floral like sweet pea, lemon flower, peonies, peach flower, freesia, and Centifolia Roses, this fragrance is very green in scent, IMHO. First spritz for me was very fresh (like fresh grass after the rain) and it dried down to a bit masculine twist (thanks to the musk as its’ base note). And I know it’s EDT, which supposed to be lighter and have less staying power than EDP, but MY BURBERRY EDT surprised me with their long lasting scent. A truly enjoyable fragrance to wear in this humid rainy season. And the flacon. A gorgeous bottle indeed. Housed in the classic MY BURBERRY EDP bottle, I adore the black cap with the bold horn-finish stone and tiny twist of gabardine ribbon (look tough yet feminine). Actually it echoes the distinctive buttons and the hand-tied stone-coloured English-woven gabardine knot, to honour the fabric invented by Thomas Burberry over 100 years ago. I just love the story behind everything.